Tata Nano Twist has been launched in India. With this launch, Tata hopes to satiate those customers who were interested in the car but demanded more features. The Tata Nano Twist has been launched in only one fully-loaded XT variant. 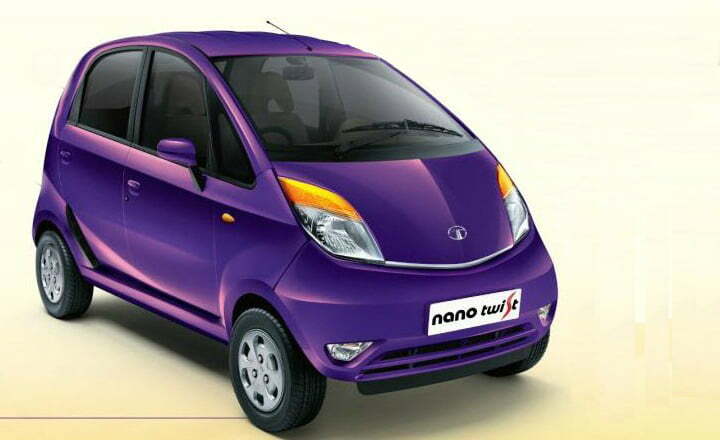 The Tata Nano Twist is available with a new paint option ‘Damson Purple’. Tata is also offering extra decals, seat covers and other accessories to let customers customise their cars according to their taste. Tata hopes to attract more youngsters by offering a higher level of customisation on the Nano. The Tata Nano Twist XT is not any different than the other Nano variants in terms of exterior and interior styling and other mechanicals except the power steering unit. All other features can also be found on the Tata Nano LX variant. The Tata Nano Twist XT is still powered by the familiar 0.6-litre, 2-cylinder petrol motor producing 37 BHP @ 5500 rom and 51 Nm of torque @ 4000 rpm. A price increase of just 14,000 for the new features seems good on paper, we wish Tata had added a operable boot lid, we will have to test the car to give a final verdict though. We would love to hear your thoughts on the Tata Nano Twist, fire away in the comments section below! As expressed by Ratan Tata earlier this month, Tata Motors intends to re-position the Tata Nano not as the cheapest car in the country but as a value for money product, the company is gearing up for the launch of the Tata Nano Twist which is equipped with power steering, a feature not found in the earlier Nano series cars. This will also lead to a price escalation of about Rs 15,000 and the new car will be costlier than the current top end Nano LX which is priced at Rs 2.24 lakh. The car may be launched on January 15, 2014. The dream car of Ratan Tata- Nano has faced the brunt of its initial positioning of cheap car and the company has not been able to manage the cost-price parity effectively to be able to pitch the car to the right segment. However, off late, this has been realized and there have been attempts to re-write the story, though in small pieces. We have seen the car get better features, brakes, a slightly better and tweaked engine and other features but the car has always been criticized for the heavy steering. Photo of the 2013 Tata Nano used for illustrative purposes only. All these changes improved our experience considerably. Yet, the lack of power steering was a big gap. The power-steering, designed by ZF, will improve the car’s city driving experience considerably. The engine may remain unchanged with the two-valve 624cc inline twin cylinder that can generate maximum power of 38PS and maximum torque of 51Nm doing the duty. Its weight has also been reduced to 635kg. Hence, the car may become smoother for a city ride. While introduction of power-steering will help in better functionality and experience, it has to prove a turning point in bringing out the new positioning. The ‘people’s car’ has not done what it set out to do, putting a middle class family on 4 wheels. Instead, it has been positioned as a car that people would like to shy away from. 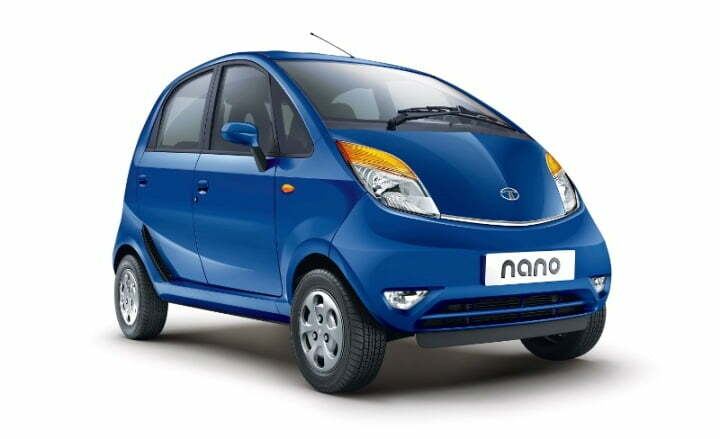 We hope Tata has some big plans for the same and the Nano sees a turnaround of fortunes in future.